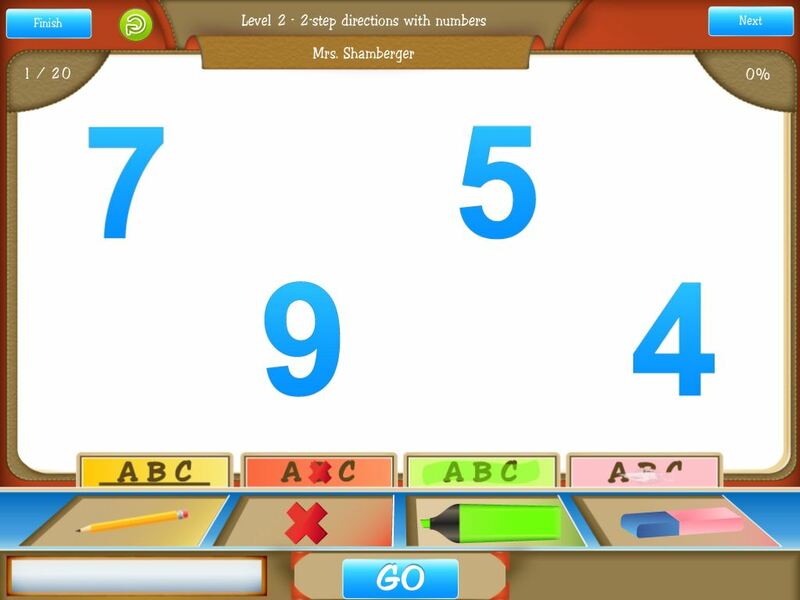 School of Multi-Step Directions App Review and Giveaway! Working on following directions can be tedious at times. 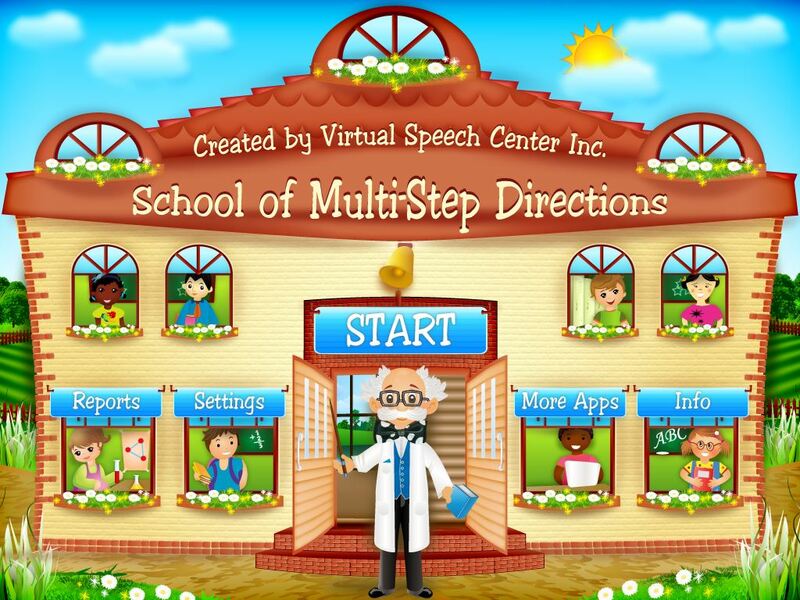 Virtual Speech Center has a great new app out that targets following directions in a fun way! 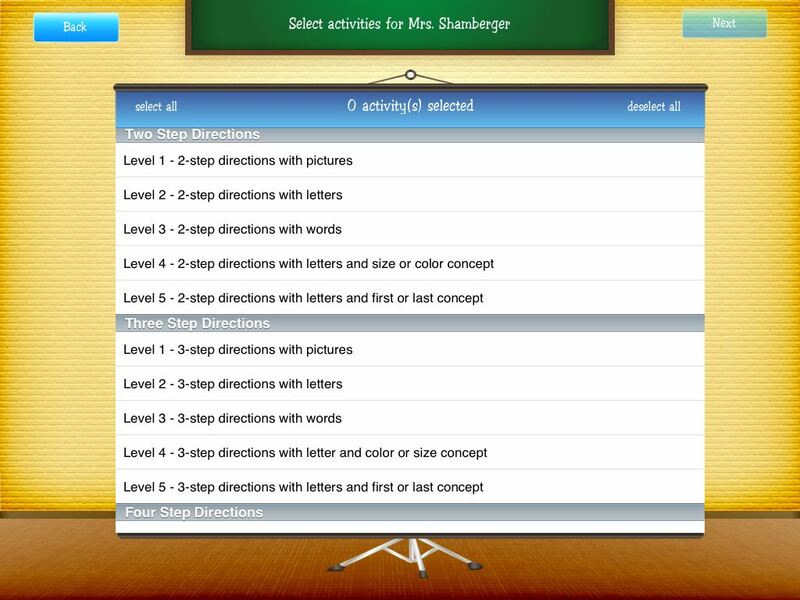 School of Multi-Step Directions was developed to improve auditory comprehension of multi-step directions in the academic context. I am so excited to share it with you! 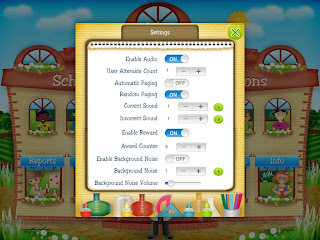 From the first page, you can select settings and make several changes to how items are presented. One big option is that of enabling background noise. 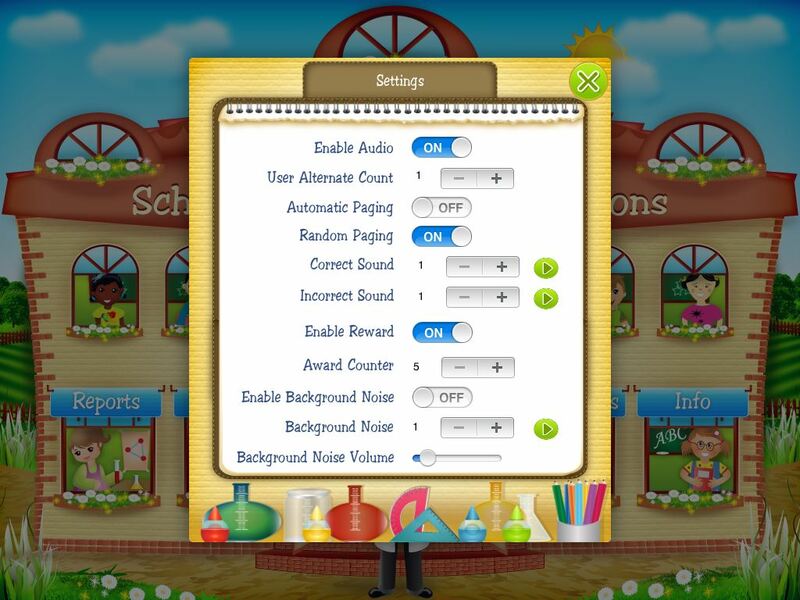 The background noise can be turned on and added at different levels, which makes it ideal for working with children with Central Auditory Processing Disorder. 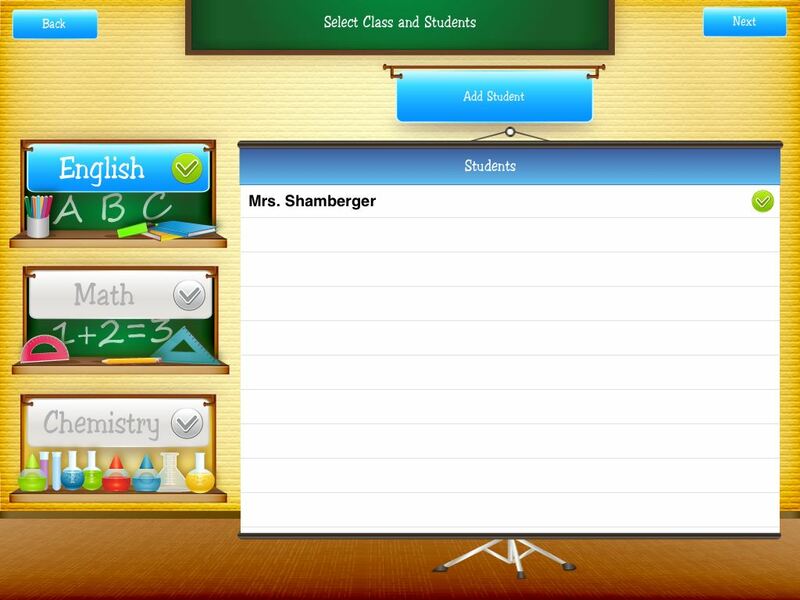 To start, you select a student, and then choose a classroom to work in. The options are English, Math, and Chemistry. 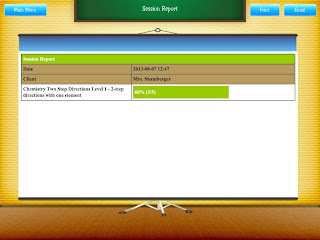 You can choose different levels and objectives for each student. There are two-, three-, and four-step directions included. I must admit that some of the lengthier directions were difficult for me! I really had to concentrate. I'm thinking that this app could be great for anyone working on increasing their memory skills as well as targeting directional words. 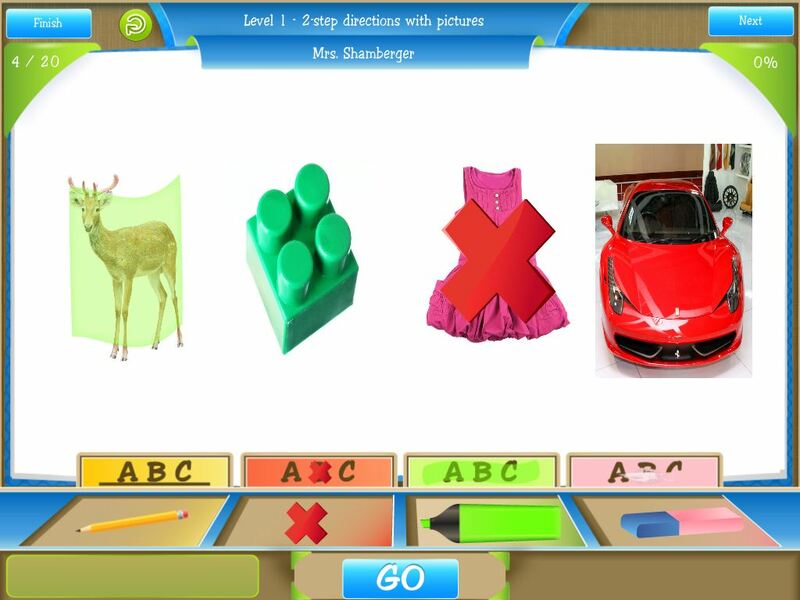 This classroom uses pictures, letters, and words to target the different concepts included. It also targets size, color, first and last. 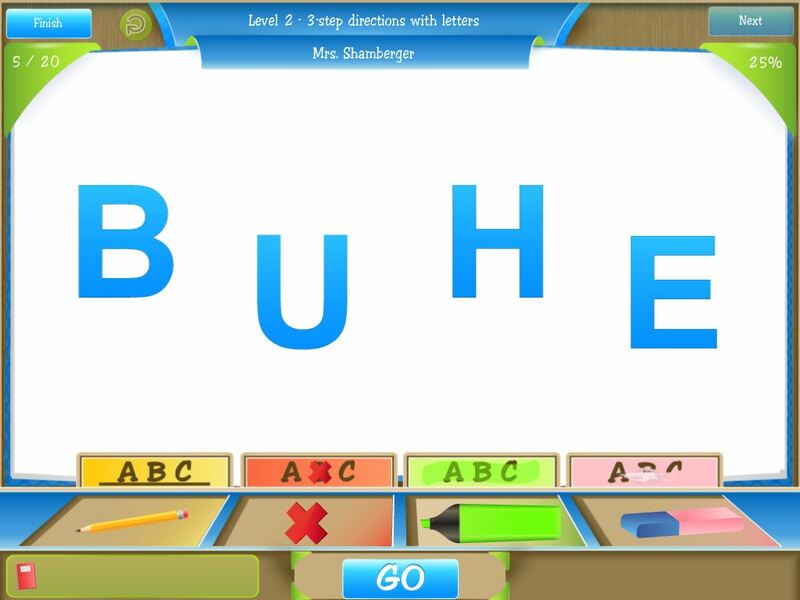 The directions ask the student to either underline, X out, highlight, or erase. 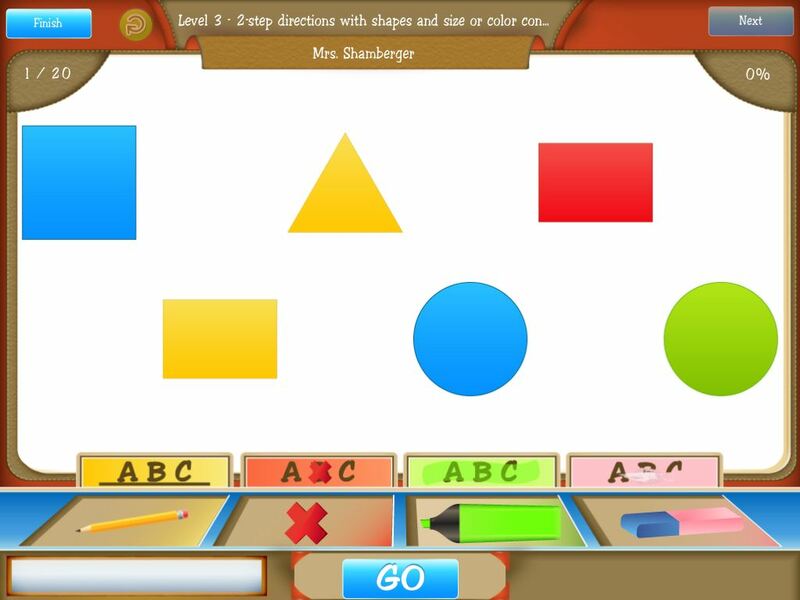 This classroom uses shapes and numbers to target the different concepts included. It also uses size, color, even, odd, smaller, and bigger. The directions again ask students to either underline, X out, highlight, or erase items. This classroom uses a variety of directions to follow using items that are used in a science lab. This classroom is my favorite one. There was a great variety of directions, and it was fun! 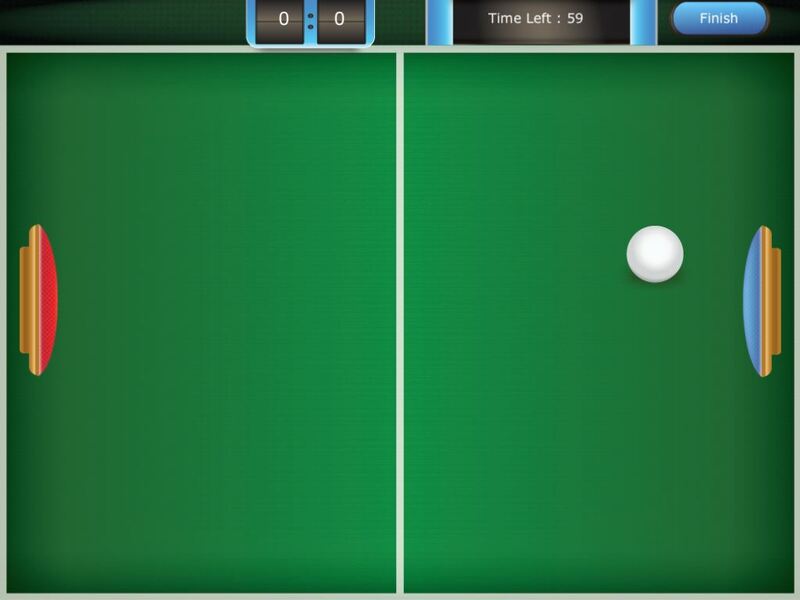 When your student has completed their trials, there is a fun pong game to play as "recess." 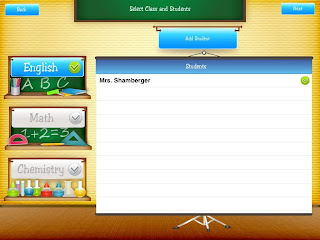 The data that is collected can be selected by activity or by date for each student. 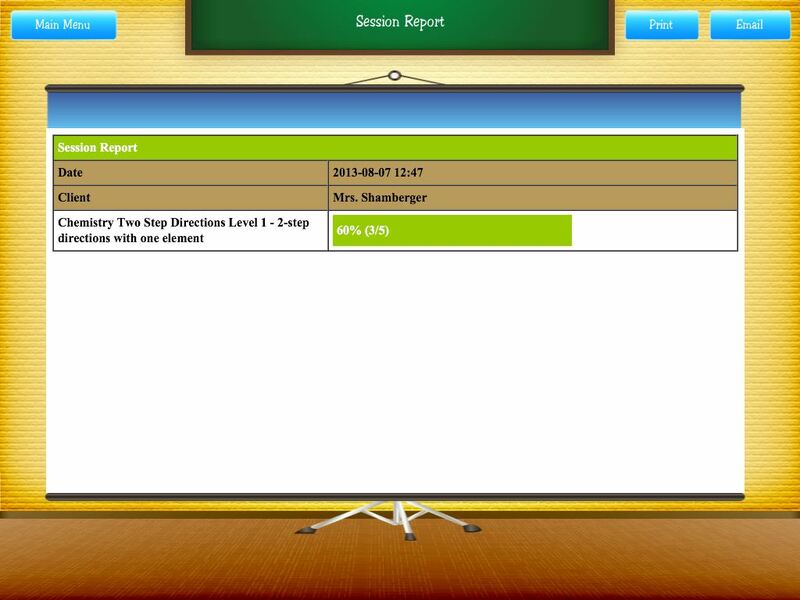 The report that is given includes the goal, the number of trials, and the percentage correct. I think this app will be a fun way to target multi-step directions. It is engaging, and not too easy. I think it can definitely be used with older elementary students as well as possibly some young middle schoolers. I also love the pong game reward (ok, a little blast from my gaming past). What could be better about this app? Not much, I think it is pretty great. I think some of the directions get a little hard. I know I had a tough time with some of them, especially in the math area and when there were more than 3 or 4 directions. It will definitely be a challenge for some students! I also got several items incorrect when I played because I didn't hold my finger long enough. I'm sure I will have some impulsive students where this might be a problem. 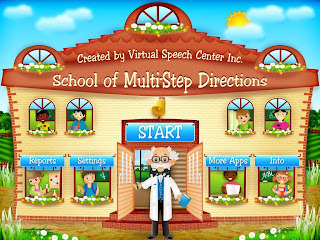 School of Multi-Step Directions is available for $18.99 at the iTunes store. The app developers were generous enough to also offer me an extra code for a giveaway! You can enter to win a copy of the app in the rafflecopter below.